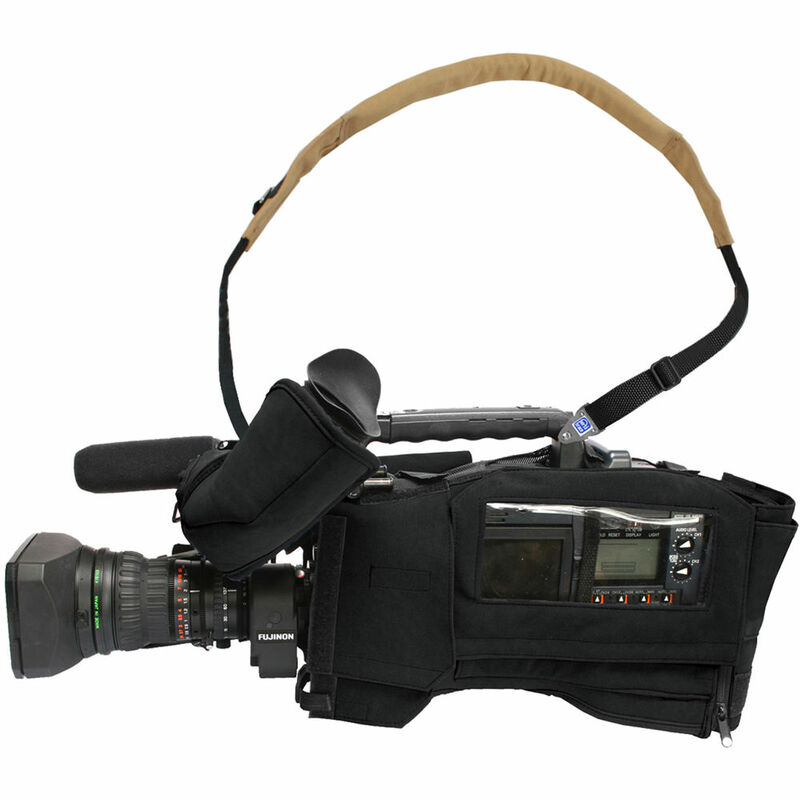 The black CBA-HPX2000B Camera BodyArmor for Panasonic AJ-HPX2000/2001 from Porta Brace offers custom-built protection for these camcorders. The water-resistant BodyArmor is constructed from durable 1000D Cordura, and fastens around the camera using hook-and-look fasteners and a zipper. Cutouts and a vinyl window enable you to maintain access to the camera's controls. The snug fit of the BodyArmor enables secure handling of the camcorder. The cover's back end expands to accommodate various battery and wireless microphone combinations. Box Dimensions (LxWxH) 14.409 x 9.843 x 6.142"
CBA-HPX2000B Camera BodyArmor for Panasonic AJ-HPX2000/2001 (Black) is rated 4.0 out of 5 by 1. Rated 4 out of 5 by Anonymous from Nice Case Needs Work The case is tough to work with as is. The straps make it hard to open the flip out screen which you need to open to review your clips. I spoke to Porta Brace at NAB and they are willing to move the strap if you feel the same way.